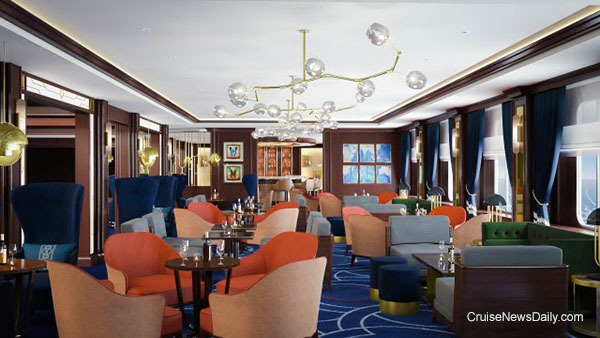 Cunard has released details of the changes they plan to make to Queen Victoria during its May dry dock, which includes the creation of Britannia Club facilities aboard the ship. The work will be done during a monthlong dry dock at Fincantieri's Palermo yard beginning May 5. Completion is planned for June 4. Renderings courtesy of Cunard Line. All rights reserved. May not be copied or used without express permission. 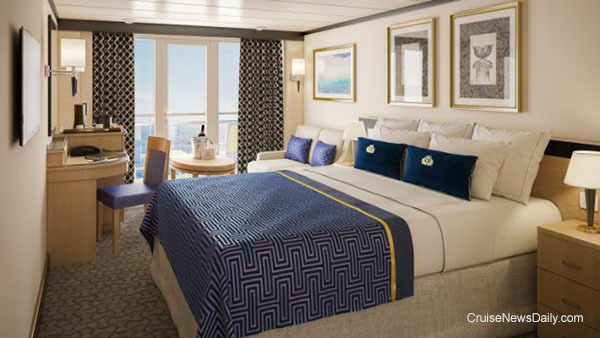 Details appeared in the March 17 edition of Cruise News Daily. Where has the winter gone? It's only ten days until Caribbean Princess' big spring dry dock on March 26 when she gets all spiffed up for her summer in Europe (and even bigger summer next year, you know where). She's going to be spending two weeks in Freeport getting rejuvenated and a bunch of new features. Quick! Can you remember which Holland America ship just scored a perfect score on its US Public Health inspection? (It was Oosterdam on March 3.) Holland America ships are so clean and the 100's are coming so fast, it's hard to remember which ships have obtained the hard-to-get score. Here comes another one. The line said today Koningsdam now has also scored 100 on its unannounced inspection on March 12 during a turnaround at Ft. Lauderdale. You don't order a ship and have it delivered next week, or next year, for that matter. Then again you don't have to order it ten years in advance either. Yet the world's shipyards have cruise ships on order that far out. The health of shipyards' order books relates directly to the strength of the demand for cruises, and right now, those order books have never been stronger. For the last couple of days, media outlets in Southern California have been reporting on a new study which has been done on Queen Mary, which is permanently moored at Long Beach. The news isn't good. They found the hull corroding in numerous places, and in some places, such as the engine room, so severe that they could be prone to flooding. A UK tour operator is offering very unique trips to the wreck of the Titanic in May 2018 that will show you the ship in a way few others have seen it. It's been talked about for months in the Bahamas, but last Thursday, Bahamas Prime Minister Perry Christie confirmed that Carnival is nearly ready to sign an agreement to build a port on the eastern end of Grand Bahama Island. I've always thought it would a lot of fun for a cruise line to launch a ship with absolutely no advance publicity at all. The first passengers to board on the first sailing would be the first people to know anything about the clever new designs and features. Although the mystery would probably create an enormous amount of buzz, it would probably never work. 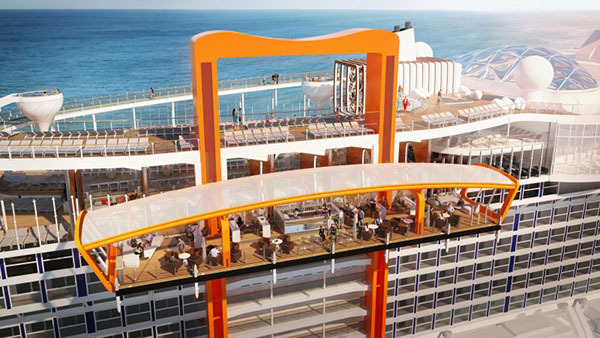 But that's almost what Celebrity would like to do with Celebrity Edge. The ship doesn't sail until December 18, 2018 - a year and nine months away - but they have to open it for sale, so they have to release some of the information. Today they told the world about some of the concepts, and a few of the major features, but they're holding out and there will still be a lot to reveal over the next 21 months. 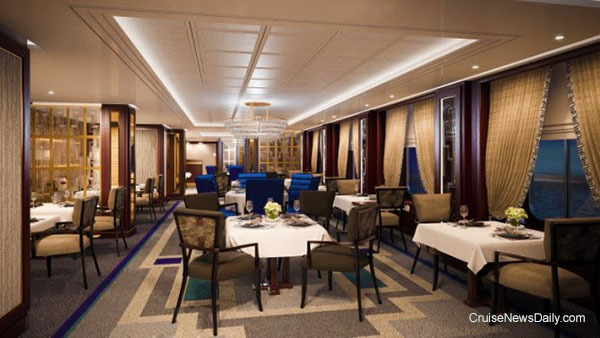 The complete story appeared in the March 13 edition of Cruise News Daily. 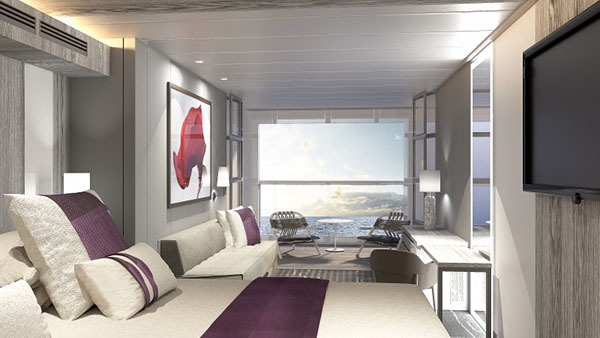 Renderings courtesy of Celebrity Cruises. All rights reserved. May not be copied or used without permission. Carnival reports that Carnival Splendor has been repairs and has returned to normal operation.